I owned a 1963 VW bug in college. It was serviceable mechanically, but the body was held together with Bondo and duct tape, all unevenly sanded and then spray-painted over so that it was several shades of splotchy white—a car with a combination of vitiligo and acne that didn’t look too bad if you squinted after a few beers, but which in the harsh noon of a hangover looked a scabrous marshmallow left to blotch and melt in the sun. It endured a 1970 road trip from Chicago to Denver and through the Rockies, but finally had enough on I-70 in St. Charles on the way home when a connecting rod in the 1200 cc engine snapped and, propelled by a piston on the downstroke, pierced the engine block like a shiv into a jailhouse snitch, sending a promiscuous cloud of black smoke across the interstate while making a sound like a clothes dryer filled with a bucket of nails. The Bondo and duct tape, though, held fast, so the car looked good enough if you discounted the volcano erupting in the engine compartment. Unlike my VW, the Better Together plan to unite St. Louis City and County hasn’t thrown a rod yet, but you get the feeling that the plan’s organizers are running out of Bondo and duct tape. The proposal looked presentable enough at first, but has since been hammered, dinged and dented so much that the patch job doesn’t look good even if you squint. The Better Together plan has run into a buzzsaw of opposition in city and county meetings. It’s been ripped for being prepared in secret. It’s been hammered for eliminating St. Louis’ city government; for deciding that County Executive Steve Stenger would rule the unified metro city at first—without an election; for not including schools in its plan, and for requiring a statewide vote that would have people in Rolla and Springfield deciding the fate of St. Louis. 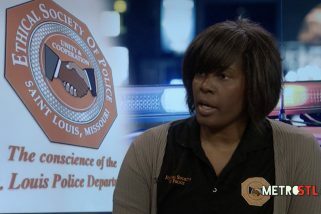 Better Together supporters claim the statewide vote’s necessary because the plan would eliminate municipal courts (controlled by the Missouri Supreme Court), and would create one big metro police force (requiring a change in state law that requires cop shops in every town with more than 400 people). Better Together, meanwhile, amended its proposal for Stenger to rule the metro-city at the same time it was revealed Stenger has been hit by federal grand jury subpoenas over allegedly giving sweetheart deals and contracts to his campaign donors. While Better Together tries to sand and paint over the dents, I decided to ask the guy who, literally, wrote the book on division and dysfunction between the city and county. 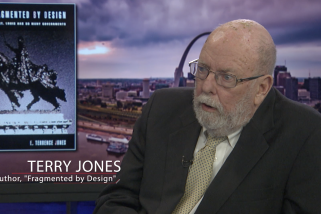 Emeritus UMSL Professor Terry Jones wrote “Fragmented by Design” in 2000. It traces the history of fragmented governments hereabouts, and two major attempts in the 1920’s and 1960’s to re-unite the city and county. 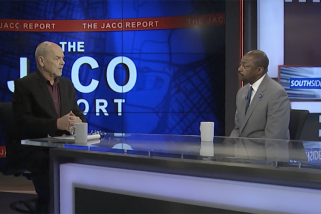 Jones say St. Louis City’s population loss, the economic stagnation of St. Louis county, and St. Louis’ free-fall in terms of influence and economic muscle isn’t due to small, fragmented governments. It’s due to the region’s bigotry, racism, and racial divide, a reputation, thanks to Michael Brown and Ferguson, that’s spread world-wide. 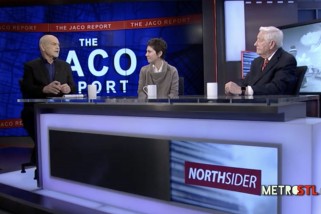 Jones says that racism, not dozens of competing governments, is the problem. He also says that the Better Together plan would make the problem worse by diluting African-American political power and influence. The plan, he says, is less about democracy than autocracy. “The process is very dangerous to have that kind of autocratic top-down inability of the people to develop their own government,” he said.